The Saudi Kayan Petrochemical Company, a manufacturing affiliate of Saudi Arabia Basic Industries Corporation (Sabic), has initiated trial runs at its new joint venture butanol plant. The trial phase was launched on October 20 and is expected to last three to six months, said a statement from the company. During this time the plant’s equipment and production efficiency will be tested based on the technical license and implementation contracts, it added. 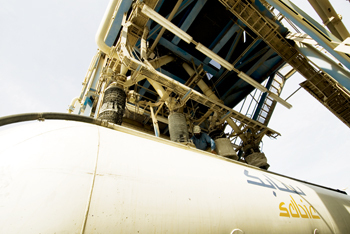 The Saudi Butanol Company Limited (SaBuCo) was established as a joint venture involving three partners: Saudi Kayan, the Saudi Acrylic Acid Company (SAAC) and Sadara Chemical Company (Sadara), said the statement. Meanwhile, Saudi Kayan has completed work on the project’s export and import units at the King Fahd Industrial Port in Jubail Industrial City, it said. The units are meant for shipping the company’s share of production, with the possibility of also exporting the share of the other partners under specific agreements to be made for this purpose, it stated. The designed capacity of the plant is 330,000 tonnes per year of normal butanol and 11,000 tonnes of mono-butanol, it added. The financial impact of the project will reflect in the company’s results after the commercial operations begin. The financial impact is difficult to assess due to its correlation with fluctuating energy prices. Saudi Kayan had announced developments in the butanol project, including its date of completion, on the Saudi Stock Exchange (Tadawul) on July, 2013. This was also stated in the 2014 Board of Directors report. Butanol is used in a wide range of industrial products such as paints and solvents. The new plant will support the continued growth of the paints and coatings industry in Saudi Arabia. Omar Al Amoudi, chairman of Saudi Kayan, thanked the partners, the board of directors of the Saudi Butanol Company, and all employees of the company for this achievement. Al Amoudi explained that under the joint venture, the three partners will have equal shares in the plant’s output, which will be used in downstream industries, and sold in international markets as well.